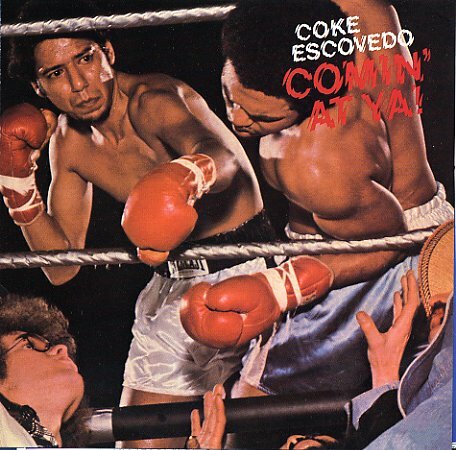 Pure brilliance from Coke Escovedo – an artist who really finds a way to make so many different things come together perfectly – with results that are even stronger than his previous work in Azteca and Santana! The set's got a warm blend of Latin roots, modern soul, and jazzy fusion – all produced by the great Pat Gleeson with the same sort of genre-bending care he brought to his own work as a musician! Gleeson makes things smooth and spacey, but never slick – really layering the sound at a level that's somewhere in the Mizell family territory, but with a bit of a different vibe. Coke's percussion is wonderful – and the set features vocals from Errol Knowles, plus backing from The Waters, and guest instrumentation from both Joe Henderson on tenor and Gabor Szabo on guitar. The whole thing's great, and titles include the sublime groover "I Wouldn't Change A Thing", a sweet remake of Willie Bobo's "Fried Neckbones & Some Home Fries", and the tracks "Back Seat", "Runaway", "Hangin On", "Somebody's Callin", and "Diamond Dust/Vida". © 1996-2019, Dusty Groove, Inc.